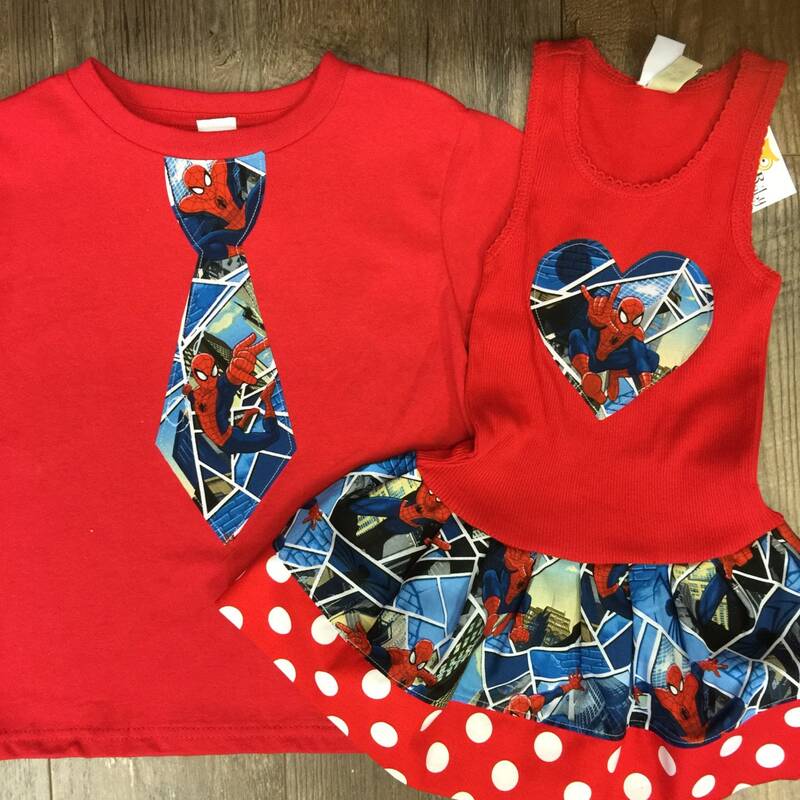 Spiderman Dress, Spiderman Shirt, Sibling Set. 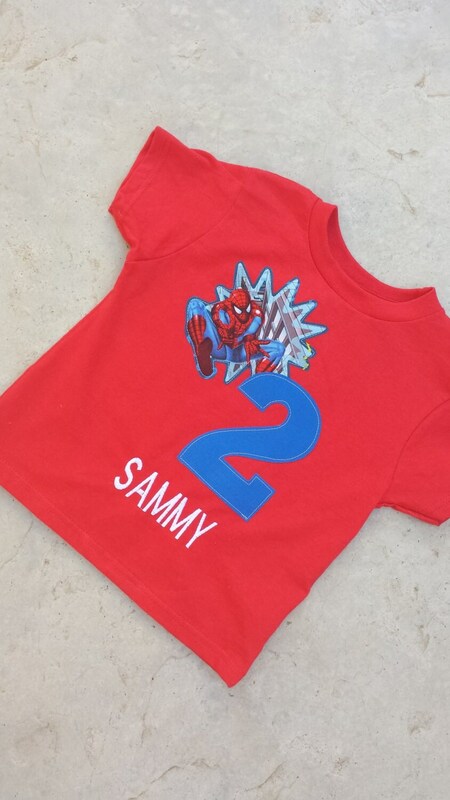 This listing includes boys shirt. Standard shirt comes with Tie. This set is SO adorable! I found a fabric online to match my kids joint birthday party and the seller was able to find it and purchase it to make my set for me. It turned out PERFECT!! Thank you so much! Love this! 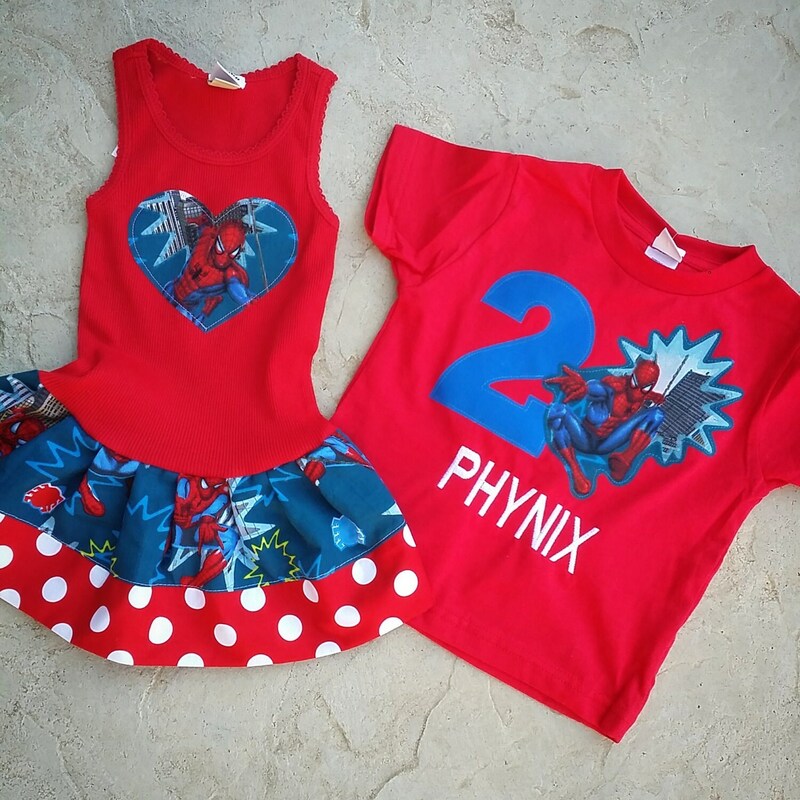 My girl loves Spider-Man so this is my way of making her wear a dress for her superhero birthday party. The shirt is an added bonus with the order! Good quality, fast service. I'll return for more purchases!